Born in Sussex and growing up in the English countryside, Veronica has lived and studied in London, Paris and Florence. Since 1981, she has resided in the Carolinas. Most recently she spends time between Charlotte and a family farm in Chester, SC where her studio overlooks fields with cows which are often the subject of her paintings. Horses, dogs, chickens and geese also provide much inspiration, as do the animals she meets on her travels. Veronica completed two weeks at the American Academy of Equine Art in Lexington, Kentucky, studying under Lesley Humphrey. She has also attended workshops with George Strickland, Scott Burdick, Steve Early and Dawn Emerson. Veronica has exhibited and won awards in local and regional shows, with work in collections across the United States and in Europe. 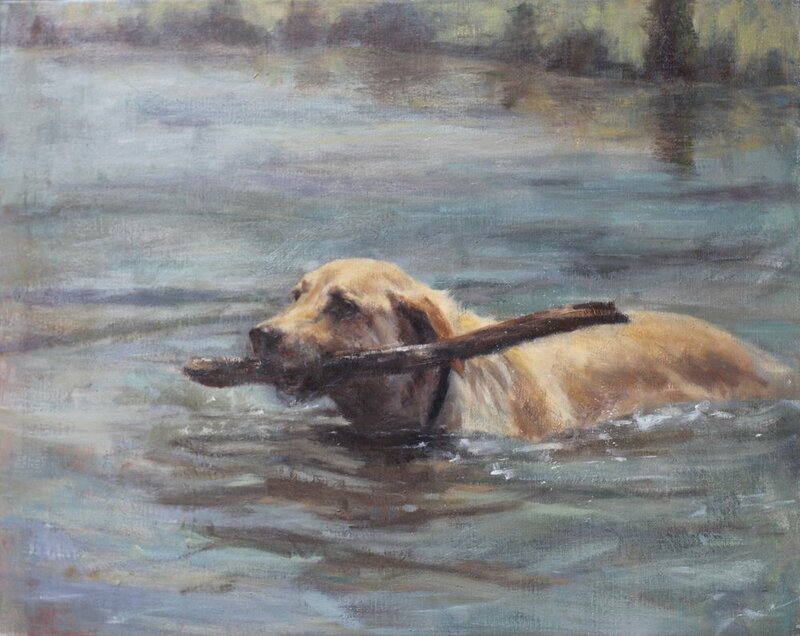 Her affection for nature and the rural life is exemplified in her oil paintings, pastels and charcoals. Her impressionist style captures the rich colors of the land and the expressive characters of the animals.